The Betacom4 24kW is a highly reliable, compact, condensing, Combi gas boiler that has been designed and manufactured by Glow-worm. This is a wall-mounted unit, saving you floor space and as a Combi boiler provides instant heating and hot water without the need for any tanks or cylinders, perfect for smaller homes. 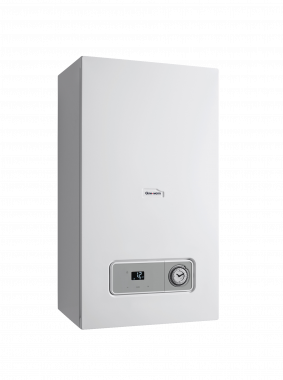 This highly reliable boiler comes with an efficiency rating of 89.2%, giving the unit an ErP A rating. The output rating of 24W makes the Betacom4 perfectly suited to smaller homes with 1 bathroom and not such a high demand for heating and hot water. Also in the range, is a unit with an output rating of 30kW. Some of the features of this boiler include a high flow rate of 10 litres per minute, a high-grade aluminium heat exchanger for reliable performance, a Grundfos pump for lower energy use helping to reduce the cost of energy bills, an LCD display to provide give you maximum control over the unit, full compatibility with Glow-worm’s full range of flues and accessories as well as an in-built filling look for easy ongoing maintenance. All of these features are backed up by a lengthy warranty period of 5 years, giving you the peace of mind that this boiler won’t be letting you down.